I have been very busy since my last real post so this post is to get you up to speed for the last two months. 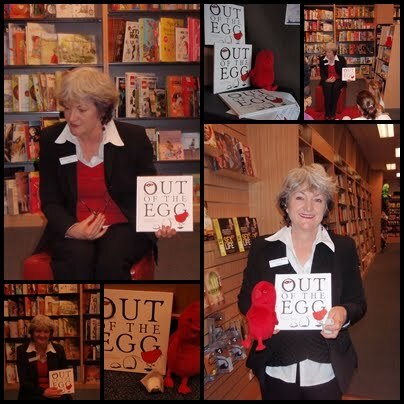 At the end of May I went to Sydney with Brenda, Esther & Cathy to attend the Equip Christian Women's Conference. we decided to make a weekend of it. We left 10am on Friday morning and stopped at Miranda Fair for lunch then off to our Motel, The Novotel Darling Harbour. After dropping off our gear we wandered over to the Powerhouse Museum to see the Abba Exhibition. We had a lot of fun, singing and dancing along with Abba. 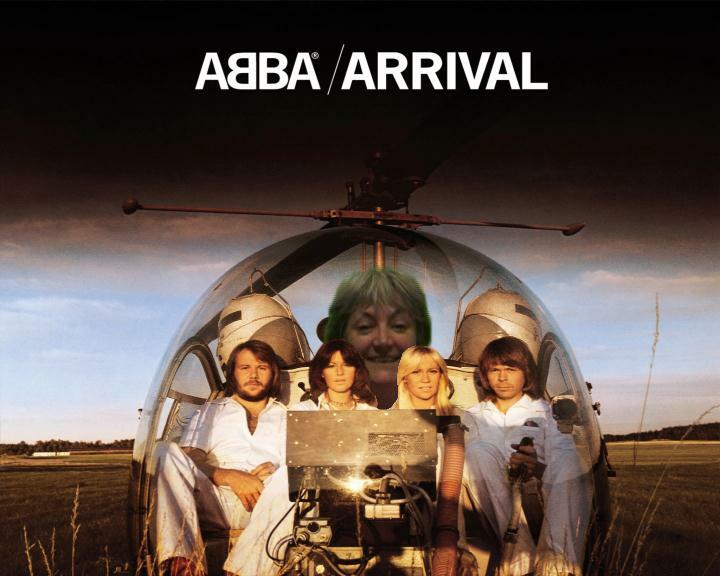 I also had my face superimposed onto my favourite ABBA album cover. 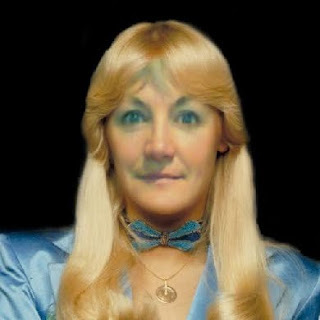 When you enter the exhibit you have your photo taken and you become a member of ABBA. I have always wanted to be Angetha so that's who I became. After ABBA we caught a bus down to Circular Quay and had dinner down by the water, I had a delicious fisherman's soup, yummmm. We were there during the Sydney Light Festival & had a great view of the Customs house and the lighting of the falling rocks was just amazing. we then caught a ferry back to Darling harbour so we could see the opera House better. Whilst at Cockle bay we had to stop at the Lindt cafe for dessert. I had a bowl of 3 different 70% chocolate ice creams, mmmmmmmmmmmmm. The next day we did a lot of shopping, went to our conference, had dinner on a boat and watched the fireworks from up extremely close. A bit too loud for me, fireworks still freak me out a little, but they were very pretty. 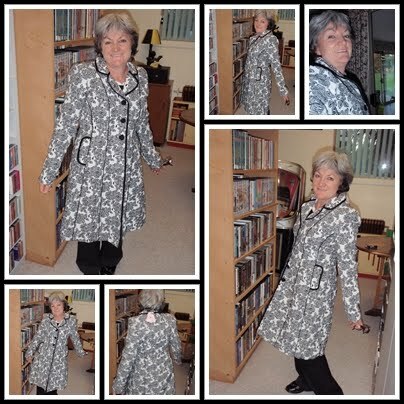 While shopping i found this gorgeous Review coat but had already spent my allowance so i came home without it. Mid the following week I found that it had been reduced to half price so i rang Myer and had it delivered. I love this coat and have worn almost everywhere I have been since. June was Designer 2 swap month. we had to make an item from a Vicki Tucek design. Barb made this gorgeous table centre for me and I made the table runner below from Vicki's Out of The Box stitcheries for Geniene. I love the table runner so much am going to make one pretty much the same for me. At work we have started a story time at work each month, I am the story teller. This months was Out of the Egg by Tina Matthews, a modern retelling of the little red hen story. At the end of story I gave each child a little green seed and they each planted it in a egg carton cup with cotton wool. They also went home with a little red chick. I love story time and look forward to it each month. Speaking of work we are now an independent book store called "Deanswift Books". we are having a little bit of a face lift and I will be back in a few week time to show you the journey. And lastly it was my sisters birthday Monday just gone so I made her this set of 4 place mats to match the table runner I made her last year. She needs 12 place mats so I told her the other 8 are for her next two birthdays or I can help her make then for herself, we just need to find the time. The coat looks lovely on you Gail. It is always nice when something makes you feel special. Pretty good looking Argetha as well. I am sure the kids enjoy your story telling. You really have been busy since your last post. Sounds like you've had the most wonderful weekend Gail! The Abba Exhibition sounds like so much fun!